Our place is currently being reconstructed after so many years of neglect for only being used as a large storage area. 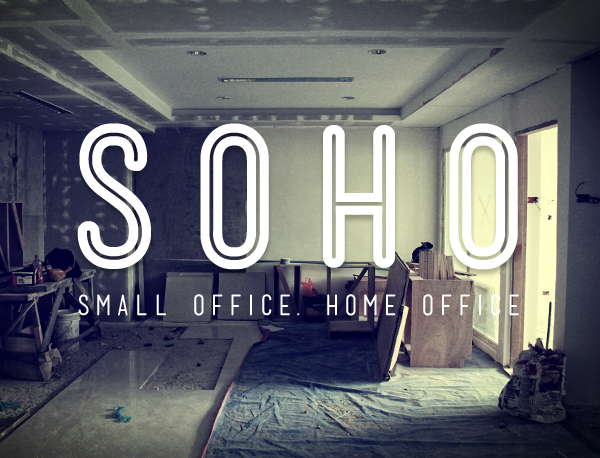 It’s being designed now as a small office, home office (SoHo) type of environment. Since we are now doing lots and lots of stuff having a work-from-home job, it’s a perfect way to balance what’s work and what’s not work. With all the leg work that the construction guys are completing every day, the second part of building now comes in – working on the interiors. What should the walls look like? How would the lighting be on this and that area? What paint would be perfect? Where will the workstations go? How about the Kidrobot toy collections? and just now, at the back of my mind, how will we fit the Kinect in this crampy space? Another idea that I had was to use these magnetic paints that you could buy on hardware stores. I initially thought about drilling in rare-earth magnets, or the extra Buckyballs that I had laying around, to allow for some clean mounting of posters or light frames. That spark of genius died when the thought of magnets embedded on walls could affect the wireless performance inside the room, and out. After reading dozens of articles and infographics saying how sitting for long hours is a bad, bad thing, I’m also considering on ways to limit my sitting time. I have already tried the air-filled gym ball but had to revert back to a normal chair after getting tired of it rolling around the place (though this seemed to have solved it.) Another alternative would also be a standing workstation. Not this overkill. The photo on the right was my early 2010 setup on a different corner of the room. It looks different right now. The secondary monitor is now on portrait mode all the time while that laptop has been loaned to my brother and has been in repair for 4 months. The desk plant has since grown and transferred into a larger paso. How about you? Where do you work? How does your workplace look like? Thanks to Tretford Philippine distributor Bell Floorcoverings Inc. for providing the sample carpet. For those interested check out tretford.com or call 7819525.